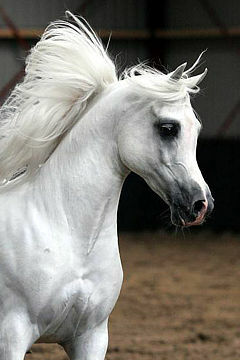 Strain: Seglawi Al Abd (Wadduda, 1899). 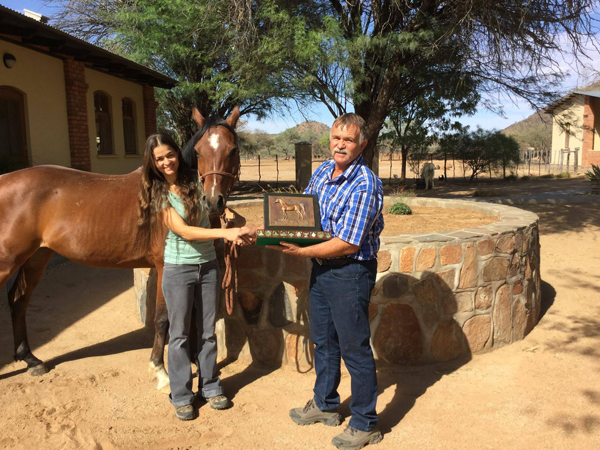 The Namibian Arab Horse Breeders Society is pleased to announce they have awarded their 2016 WAHO Trophy to the gelding Gülilah Nahgalit. 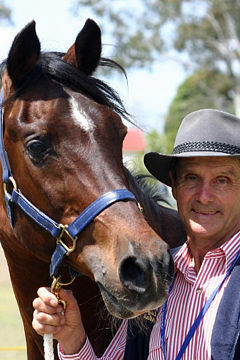 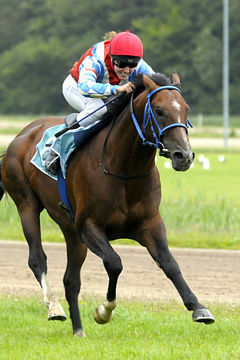 It is worth noting that his grand-dam, the outstanding broodmare Gülilah Güleh Güleh, was Namibia’s first WAHO Trophy winner in 2005. 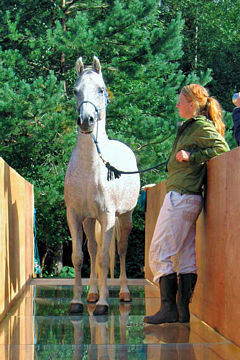 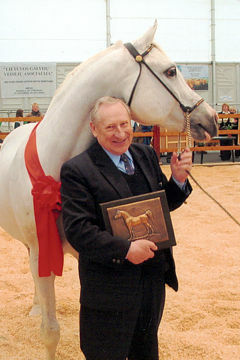 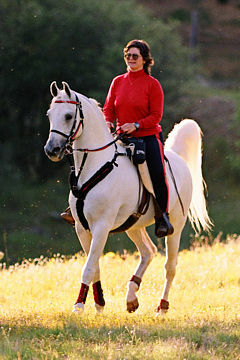 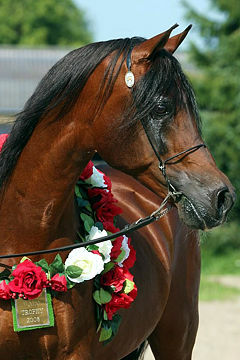 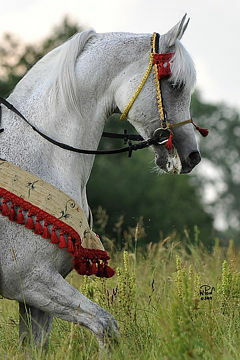 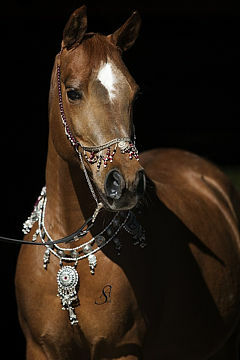 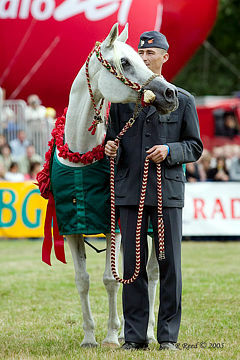 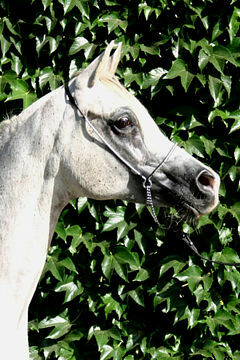 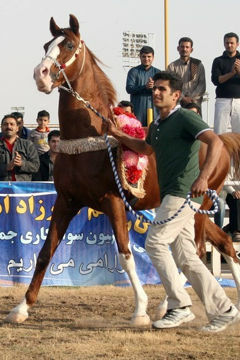 Sired by Nabilah Nahd and out of Gülilah Galisa, he was bred by Mrs. Helga Aschenborn and Fritzi & Gisela Uijs, the product of several generations of their breeding programme. 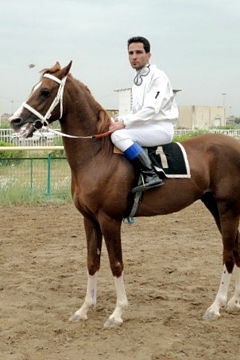 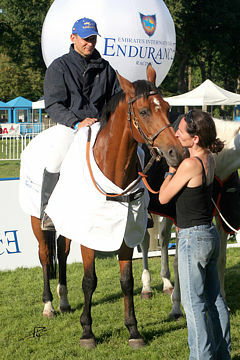 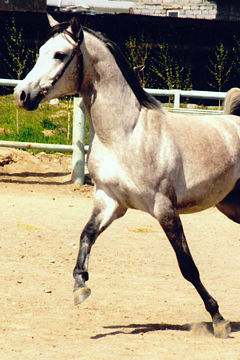 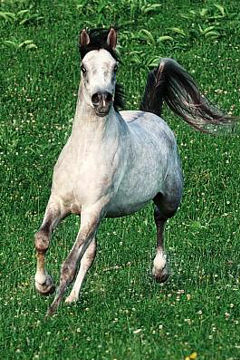 Born in 2007, Gülilah Nahgalit was sold to us as a yearling. 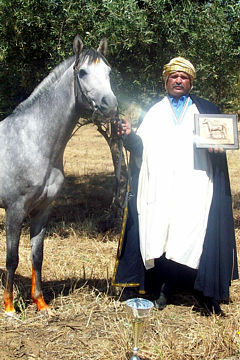 Our idea of the ideal Arabian is a functional horse that has good conformation and that proves themselves on endurance rides. 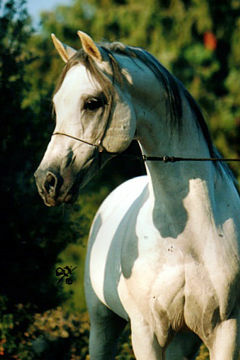 Gülilah Nahgalit had all these attributes and had the “looks” to go with it too. 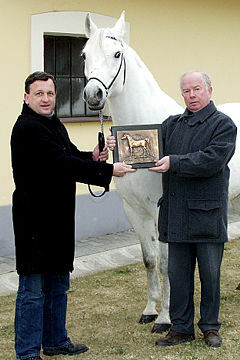 He had everything we looked for in a “drinker of the wind”. 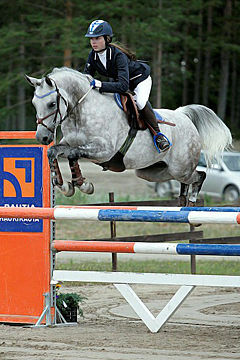 Once he was old enough, he embarked on his enruance career. 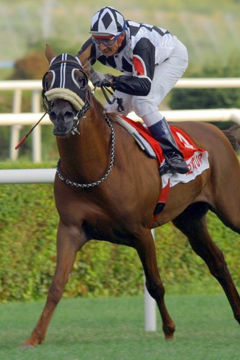 During the beginning stages and rides he wasn’t eliminated once, and had very good heart rates, a free flowing stride, correct conformation, clean legs and most of all a head and heart that made a true champion. 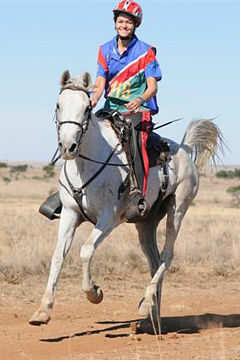 The first couple of years of his career were just his building phase, not riding him to win, but just to get the experience as the kilometres added up. 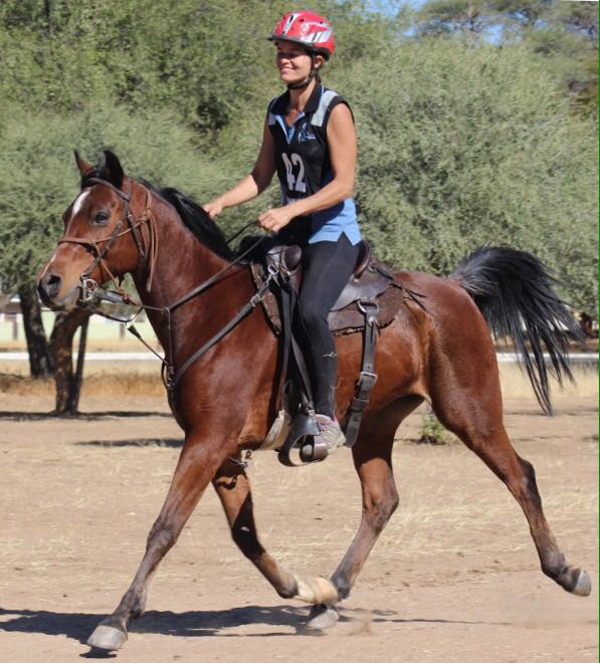 •	17/04/2015 – 100km 1st and Best Conditioned Horse. 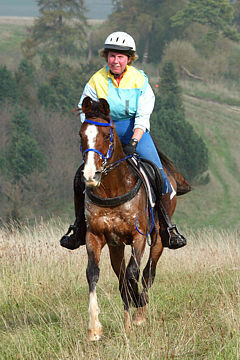 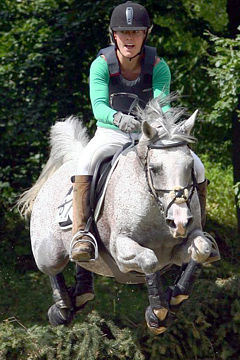 Reni van der Merwe riding Gülilah Nahgalit at a Club ride in 2015. 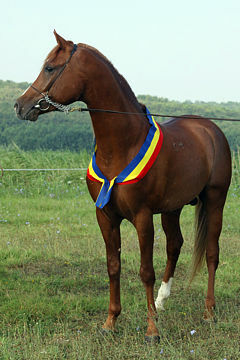 •	122km – 3rd – Standard weight – Bronze medal. 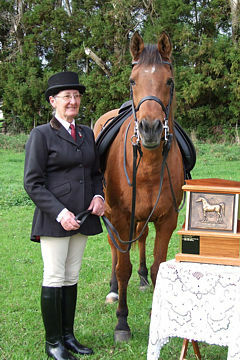 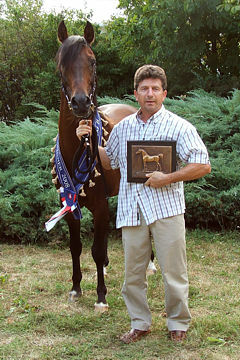 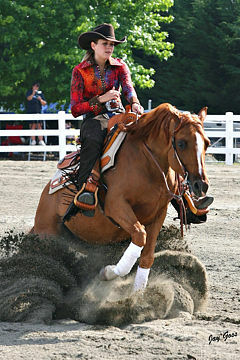 •	Trophy for Best Conditioned Horse in Standard weight. 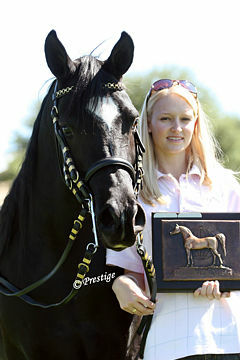 •	Trophy for the Best of Best (best horse out of all the Best Conditioned horses of all categories). 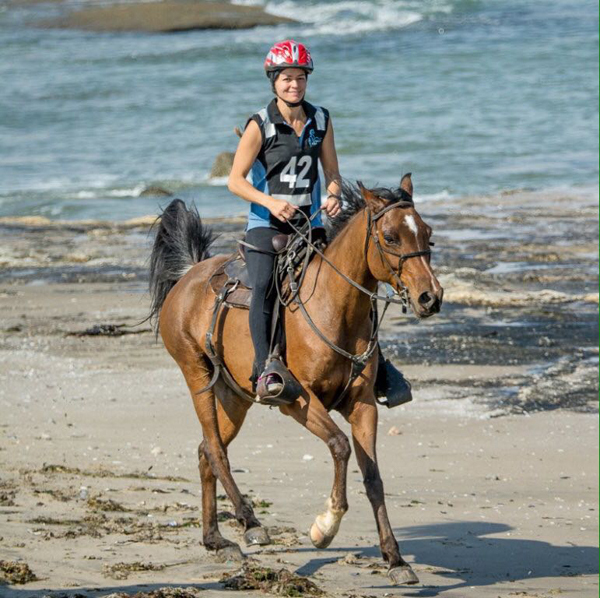 Reni van der Merwe riding Gülilah Nahgalit on the beach during the 120 km Africa Endurance Cup at Walvis Bay 2016.